An exclusive look at Puma's own take on 'Back to the Future'-style self-lacing sneakers. Nike has some competition. Though the company has gotten a lot of attention for its Back to the Future-inspired HyperAdapt sneakers, it's not the only brand working on self-lacing shoes. 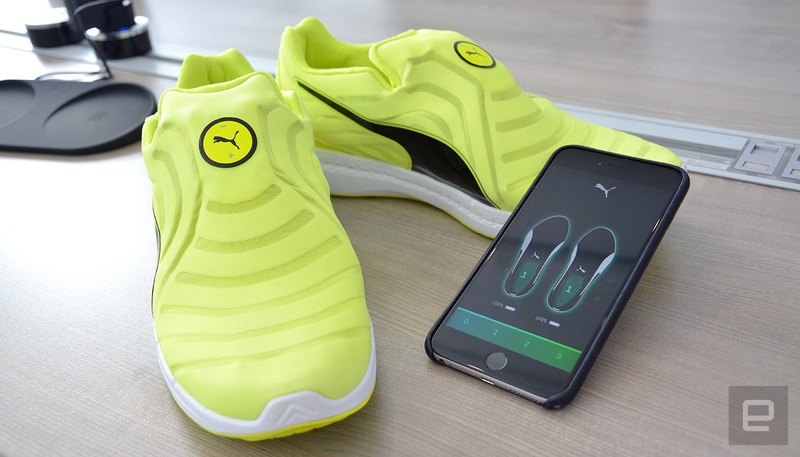 Almost a year ago, Puma showed off its own self-lacing sneakers, called the Autodiscs, and seeded them to the likes of Usain Bolt and Rickie Fowler. Since then the company has had little to say about these rare shoes, but I recently had the chance to get an exclusive look at them and even try them on, courtesy of our friends over at Hong Kong-based Internet of Things accelerator Brinc. In a nutshell, the Autodiscs are sneakers with built-in motors that loosen or tighten internal laces wrapped around the front part of the foot. This is done with a push of a button on the shoes or in the companion smartphone app. While some may dismiss this technology as an excuse for those who are too lazy to bend down to tie their laces, it can actually minimize hassle for sprinters who frequently have to re-tighten their laces on the track. All told, the Autodiscs have two real advantages over Nike's HyperAdapt. One is that the motors are embedded in the tongues instead of beneath the soles, thus allowing the Autodisc to flex more like ordinary sneakers. Second, the HyperAdapt lacks smartphone connectivity whereas the Autodisc let you jump straight to your desired tightness for each shoe (the tightness is offered in three levels) as well as monitor its battery levels. Speaking of the sort, to recharge the shoes, just place the heels on the accompanying wireless-charging mat until the indicators stop blinking. What the Autodiscs do miss out on is the HyperAdapt's automatic self-tightening feature: As soon as you put on the HyperAdapt, the pressure sensor in the heels toggles the self-lacing mechanism, meaning you don't have to lean down to push a button to manually tighten the shoes. These shoes feel as if they come from the future. In my time wearing the Autodiscs, they felt very much like normal sneakers but with the added ability to wrap tighter around my feet. It was always satisfying whenever the laces were active on my feet. Combined with a high-pitched mechanical noise, these shoes feel as if they come from the future. Bay McLaughlin, the COO and co-founder of Brinc, has been following this project for over two years, though the research and development on this particular auto-lacing technology has been around for nearly a decade. According to McLaughlin, it wasn't until the Rio Olympics earlier this year that Puma decided to focus explicitly on track and field with the Autodisc. To date, only 50 pairs have been made, many of which are apparently in the hands of renowned athletes. 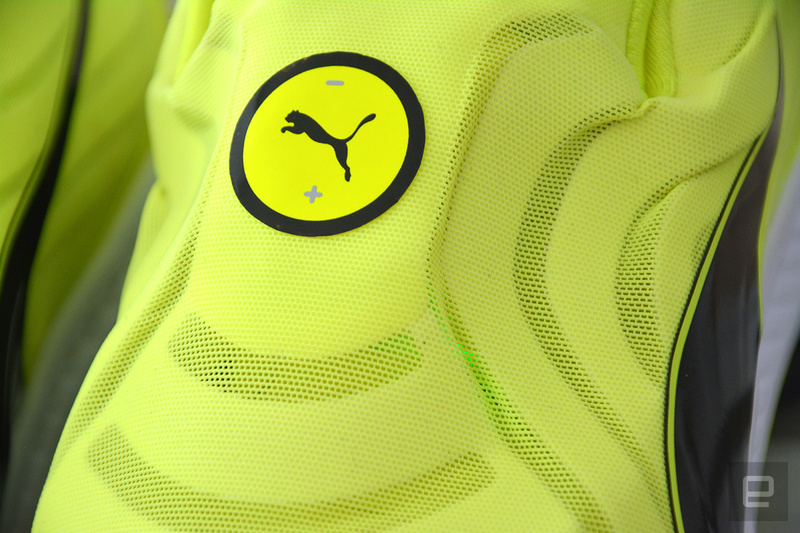 Puma is currently making them in two colors: black and yellow. 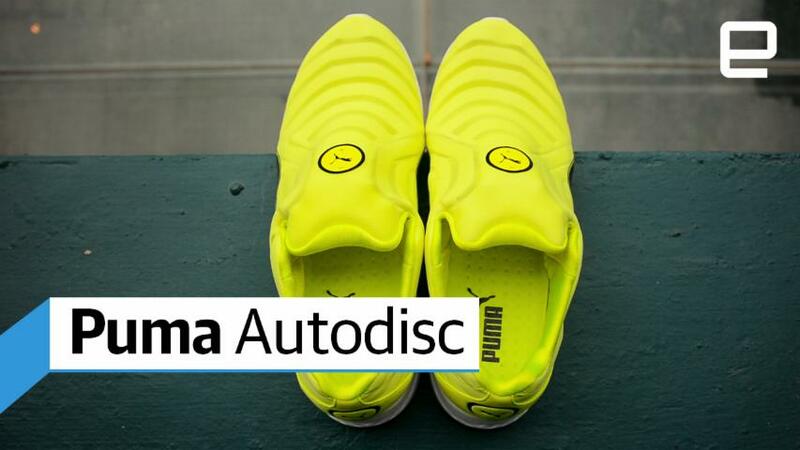 While McLaughlin couldn't share more technical details or a target price point, he reckons Puma will likely commercialize the Autodisc; it's just a matter of gauging consumer demand, which Nike has sort of been doing all of this time with the MAG. "It'd be different if these were a prototype version sitting on the side of the factory floor or in a lab somewhere, but these two companies are going after this space, this is very apparent now," McLaughlin said, referring to the super competitive nature of the sneaker market. "This project's been under way for a long time, they have the top athletes in the world testing them. Nike's now gotten public about them in the last few weeks. The game is afoot, as they would say. It's happening." When the Autodiscs do eventually go on sale, chances are they won't come cheap. But for serious athletes, they might be intriguing, especially if future versions can automatically tighten themselves on the fly or maybe use biometric data to help assess their performance. Just our two cents, Puma.